Learn how to pick from different styles of curtains so your window coverings are just right for your rooms. 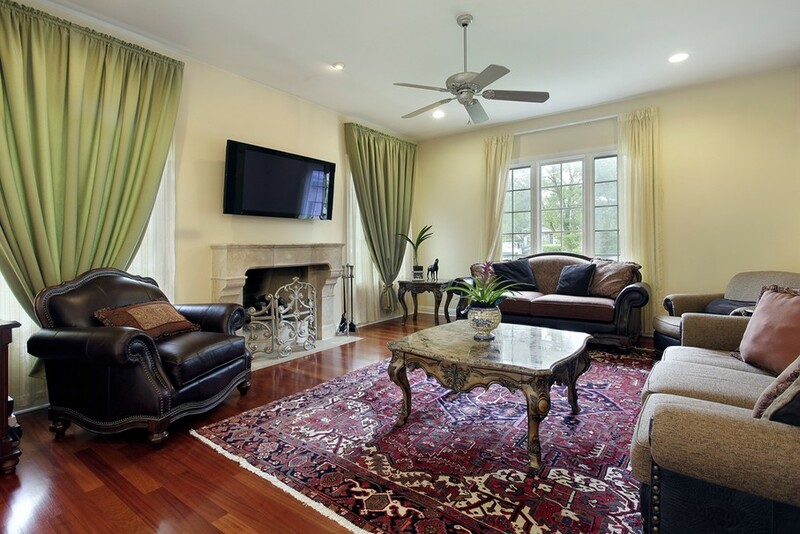 With all the types of curtains available, it can seem impossible to know how to pick from different styles of curtains. But it’s really not as difficult as it seems. And learning how to do it is essential to being able to design rooms you love to live in. You can do amazing things with curtains. You can, for example, use them for creating the illusion of a larger window or a smaller window. You can use them for privacy. You can use them for powerful design impact. But you can only use styles of curtains to get the best window treatment for your room if you know the various curtain styles and what look they tend to create. Here are seven common styles of curtains and how they can help you create a space you can be proud of. Pleated curtains are among the most formal of curtain types and styles of drapes. … Speaking of drapes, let’s interrupt our programming for a moment to talk about curtains vs. drapes. Although many of us use the terms interchangeably, technically, drapes and curtains aren’t the same thing. Curtains are generally lighter and sheerer. 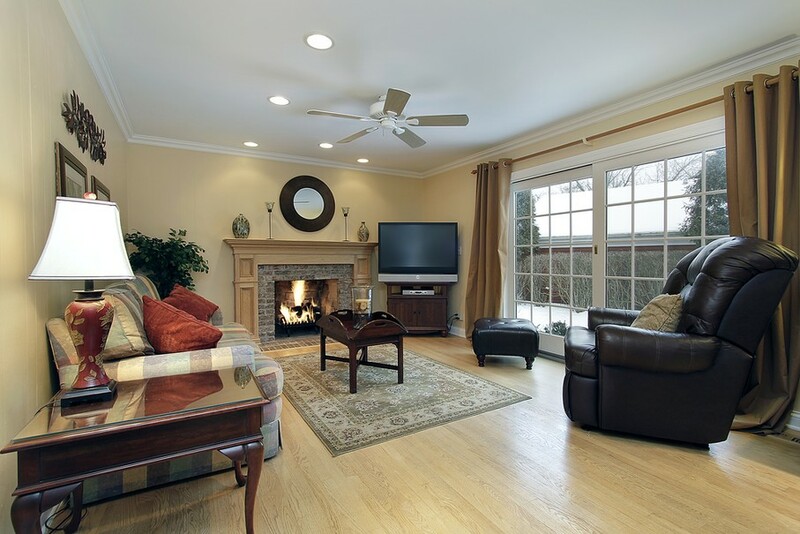 Drapes are heavier, and they are often lined for room-darkening functionality. … And now we return to our regularly scheduled program. Pleated curtains (and drapes) are curtains that have been … surprise, surprise … pleated. The pleating is at the top of the curtain. Curtain or drapery hooks are inserted into the pleats to be hung on curtain rods. Box pleats are boxy, rectangular-looking flat pleats. Goblet pleats are rounded pleats that are gathered in such a way that the resulting bulge between gathers looks a bit like a slender wine glass. Tailored pleats are a gather of three pleats cinched together at the top. Pinch pleats are a gather of three pleats cinched together about three inches from the top. Pinch pleats are the most common of the pleated curtains. All pleated curtains tend to have a tailored, more formal look. Although they are a strong fit for traditional decor, they can work in modern decor if the fabric used for them is current and contemporary. Pleated curtains can be hung in straight panels. They can also be tied back for an even more traditional appearance. Rod pocket curtains are named for the tube of material at the top of the curtains into which you insert a curtain rod. This type of curtain doesn’t require hooks. Rod pocket curtains are less expensive than pleated curtains, and they’re simple enough in design that if you’re handy with a sewing machine, you can easily stitch some yourself. This makes rod pocket curtains a DIYer’s dream. 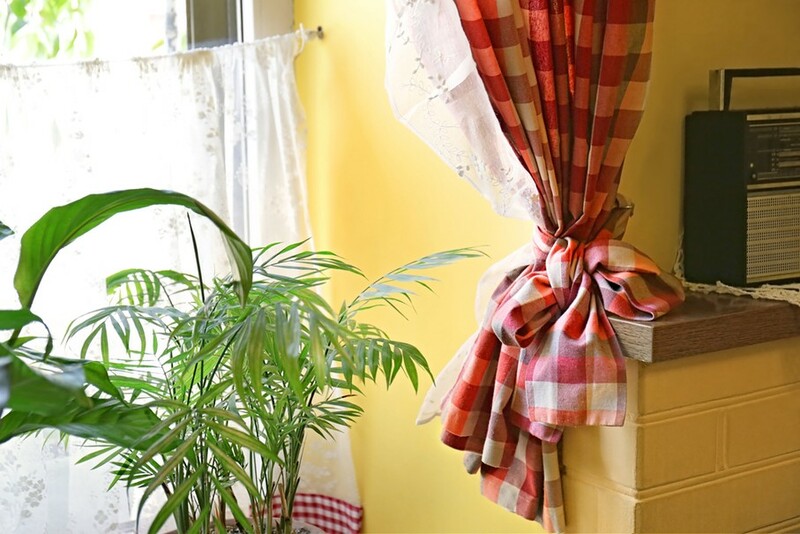 Given the nearly endless varieties of fabrics available, you can sew rod pocket curtains to match pretty much any decor. Rod pocket curtains can have wildly varying looks depending on how they’re hung. When you use a minimal amount of fabric so the gathers along the rod are few, rod pocket curtains can look basic, even business-like. When you use extra fabric so the gathers are plentiful, the look tends to be more cottage cozy or country. Tied back, these curtains are an ideal fit for casual rooms, including children’s rooms. Eyelet curtains, also called grommet top curtains, are curtains that have eyelets or grommets through which a curtain rod can be inserted. Like rod pocket curtains, eyelet curtains have a more casual look. However, made from the right material and hanging from the right rod, these curtains can fit anything from traditional to modern design. Pronounced metal grommets and metal rods especially create a smart up-to-date look. Tab top curtains are similar to rod pocket and eyelet curtains in that the curtain rod is slipped through the openings at the top of the curtains. The curtain openings, however, are not a long tube of fabric or eyelets. They’re tabs of fabric spaced one to three inches or so apart. This type of curtain, like the above curtain styles, can be made to work in all sorts of decor, depending on the curtain’s fabric and length. However, the tab top style is generally traditional, country, or casual. Short tab top curtains especially have a simple, organic feel. 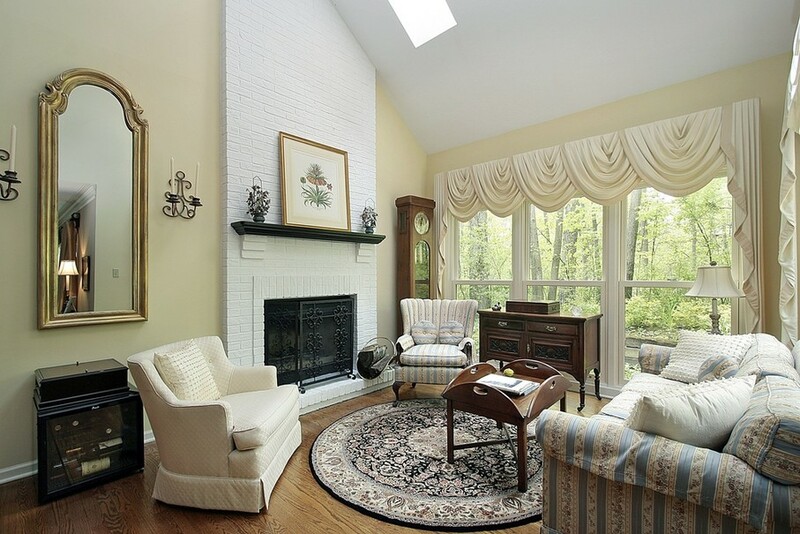 Valances are short decorative curtains that are hung at the top of a window for color and texture. Because valances don’t cover the window, they aren’t going to add any privacy to your room. But they will add visual impact. You want to let as much light into the room as possible. Your windows are design features, and you don’t want to cover them. Your room is already full of color and texture, and you don’t want to overpower the space with even more fabric. 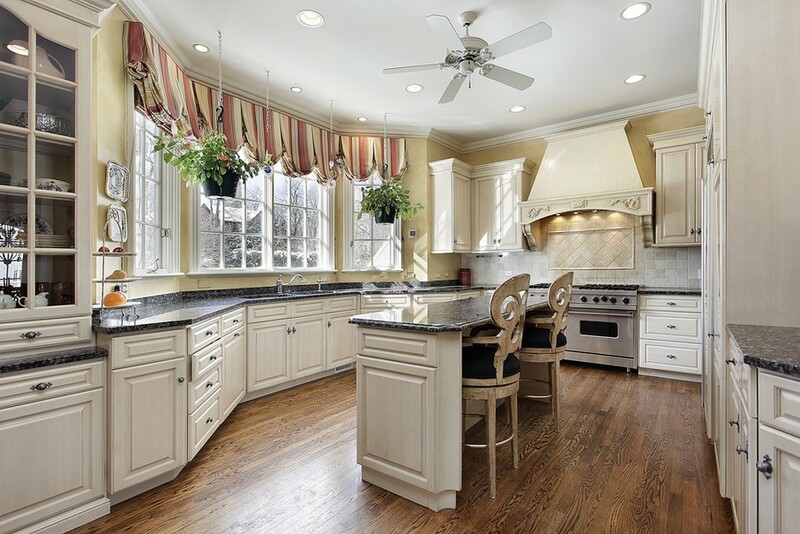 In kitchens, for example, given that the space is generally so packed with color and texture and needs as much functional lighting as possible, valances are ideal window coverings. Because valances come in so many styles and configurations, you can find a valance to suit any style of decor. Layered curtains are just what their name says they are. They are several types of curtains layered together to create a new look. The most common curtain layering is pleated draperies over rod pocket sheer curtains. Sometimes a pleated or a box-style valance can be hung over these two types of curtains or drapes. And less often, another layer of pinched or rod pocket curtains are hung between the outer drapery and the sheers. 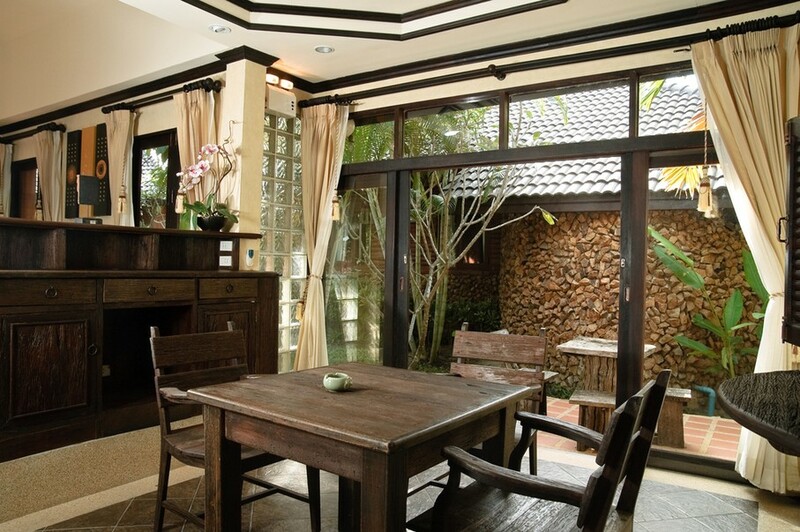 This type of window covering is nearly always formal and traditional. It is appropriate for upscale living rooms and bedrooms, especially romantic bedrooms. Café curtains got their name from the fact that they’re often seen in cafés. They’re used in cafés because they leave half the window open so customers can see in or out. 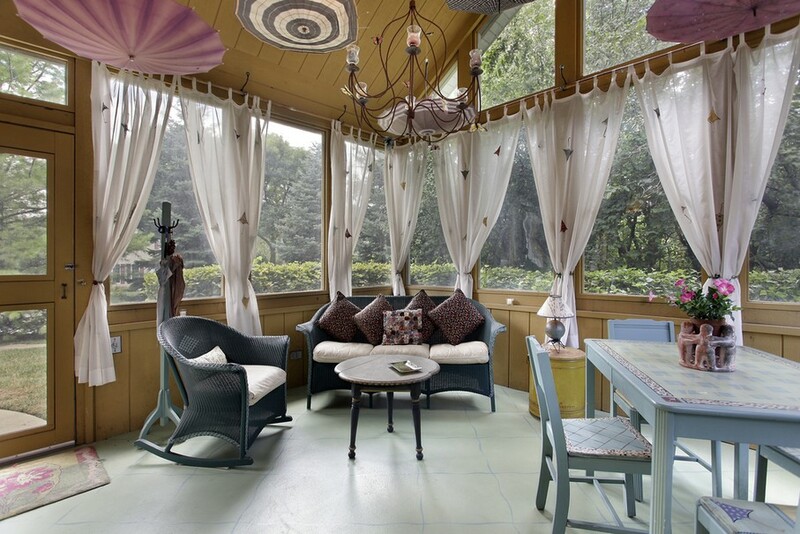 A café curtain is a half-curtain, generally hung from a narrow rod in the middle of the window. They are sometimes combined with a matching or coordinating valance hung at the top of the window. Because of their casual styling, café curtains are not often suited for modern decor. Although, a creative person could probably pull off the look using the right fabric patterns and textures. They can be appropriate in bathrooms or children’s rooms. These curtains will look best, though, in a kitchen or casual eating area. Now that you have an understanding of the various styles of curtains, you will find it much easier to navigate the curtain and drapery selections you’ll face when you design your room.